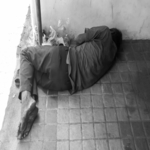 For Americans who live on the streets, alcohol is often times a significant reason for keeping them on the street. Untreated alcoholism can lead to a number of dire circumstances: Loss of family, job and home are among the most common. Alcoholism also leads to a number of serious health problems that usually require expensive treatments, a bill that usually falls on the state and its taxpayers. Addressing homeless Americans living with addiction has become a top priority in some major cities, including Los Angeles. "This is a scenario that plays out hundreds of times a month with no meaningful intervention for the patient and at great cost to the L.A. Fire Department and health care services." The new facility will be located in a former mental health center on Maple Avenue, according to the article. County officials claim that the center will be able to treat as many as 8,000 patients each year, with the average stay being eight to 23 hours. The sobering center will cost $2 million to develop, $3.4 million a year to maintain and will be run by the Department of Health Services. The director of community programs for the health department, Mark Ghaly, hopes that the center will keep the homeless from going to jail, according to the article. A realization that can come to fruition through urgent care centers working closely with the sobering center. “It’s really the intersection of health and the criminal justice system,” said Ghaly.